A university education is essential to success in life. Classmates or Parents: Who Is More Influential? Some people say that a university education is essential to success in life. However, I firmly believe a college education is not an integral part of success in life. Many jobs do not require a person to have a higher education. For example, there are many trades that require special training but no university education. These include electricians and plumbers. While their jobs are not glamorous, these people still make considerable amounts of money. Likewise, it seems that numerous actors, actresses, singers, and artists never attended college, yet they have enormous amounts of money. And, finally, many professional athletes did not attend a university; however, they can earn millions of dollars every year they play a professional sport. Clearly, not everyone needs a university education to succeed in life. Additionally, every person has his or her own individual definition of what success means. That means there are many ways for a person to succeed aside from making lots of money. Many people consider their lives to be successful if they are happy. This is the case for both my grandmother and grandfather. Secondly, some people define happiness by their family lives. If they raise their children to be good, hardworking citizens, they consider their lives to have been successful. Lastly, others think that success in life is living healthily to an old age. It all depends upon what their definition of success is. But, in many cases, a university education has nothing to do with success. I truly believe a university education is not indispensable to a person’s success. People can get many high-paying jobs without a college education, and everyone defines success in different ways. 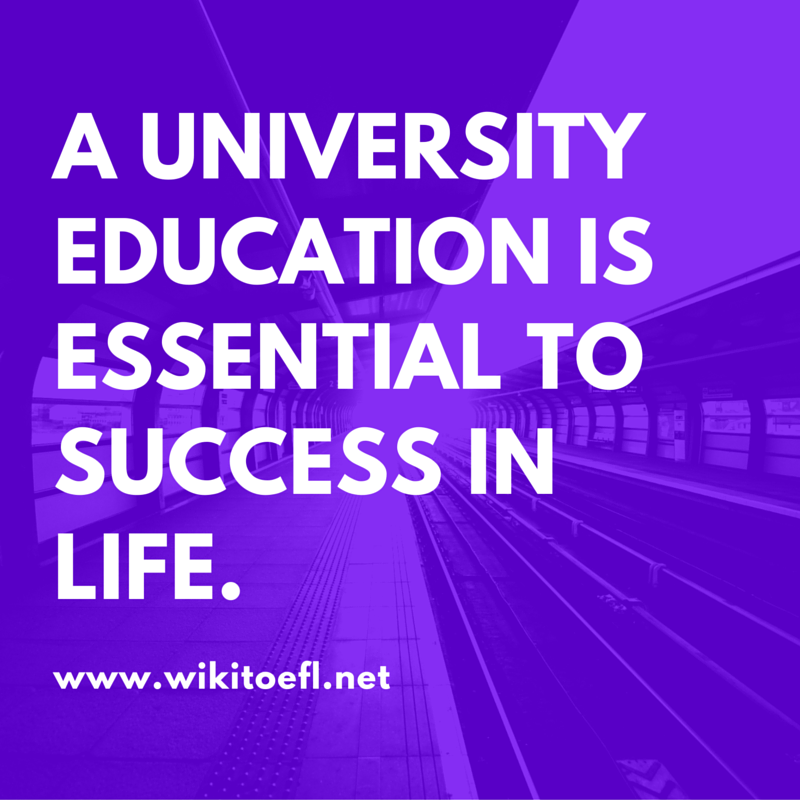 Therefore, a university education can be said to have nothing to do with success.